Just when you thought the racing season was over, Speed51.com is gearing up to bring short track fans the inside story of major events both on and off the track in early December. That coverage includes reports throughout the day of the action from the Super Late Models and other classes at Five Flags Speedway. Driver journals and photo galleries of all the action will also be a part of the daily stories on Speed51.com. Dillner himself won’t be at the 38th running of the Snowball Derby this season, but will play the role of short track fan by logging on and following the developments throughout the weekend. 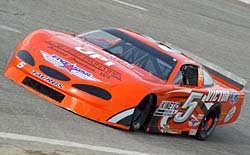 The Snowball Derby is one of the biggest times of the year for Speed51.com. The short track website will be heading to Florida to continue their tradition of extensive Snowball Derby coverage by becoming the “Official News Site of the Snowball Derby,” as well as dressing up and heading to New York City for an insiders look at NASCAR Champions week in the Big Apple. the USAR Pro Cup Series, Super Late Models from all across the country and much more. Speed51.com will be all over Pensacola for the Derby, but we'll also be in New York City following the NASCAR Champions like Andy Santerre (Bottom). At the same time, Speed51.com will be in New York to bring fans behind the scenes with the NASCAR Touring Series champs as they are invited to the big banquet for Nextel Cup champ Tony Stewart. Speed51.com will kick off timely reports from the track, and the streets, starting on Wednesday, November 30th. It will include a daily journal and photo galleries of what the champs are doing around the Big Apple, from news conferences to trips to the theatre. 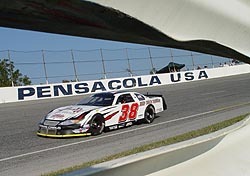 For ticket information to this year’s Snowball Derby, please log on to www.snowballderby.com.